← Spring 2012 Trend Alert: Hello, PETAL! I am truly honoured and humbled to have been nominated. 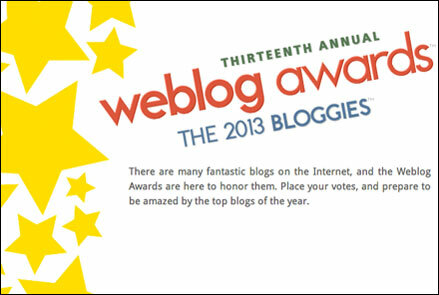 Please help my blog to be one of the most-nominated by clicking on this link and following the instructions before 27 Jan 2013 for the above categories or any others that are suitable. Click on the following website. All you need to do is have a valid email address and visit the nomination page. Scroll down, fill in the name of the blog and the URL address. 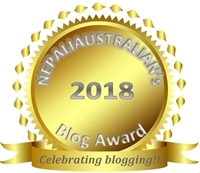 Please type nepaliaustralian in nominee and nepaliaustralian.wordpress.com in URL. Your ballot must contain at least three unique nominees in total. Supply your email address in the form at the bottom. Complete the captcha security words and submit. You’ll get an email (Please be sure to check your spam filter if you don’t get it within few minutes) with a link to click on,. Please click it, and your nomination will be verified. This entry was posted in General and tagged awards, blog awards. Bookmark the permalink. That three unique blog requirement is a problem.